The start of the Free Speech movement. Eight students suspended from Berkeley on Sept 30th, 1964 for operating a table on campus without a permit. 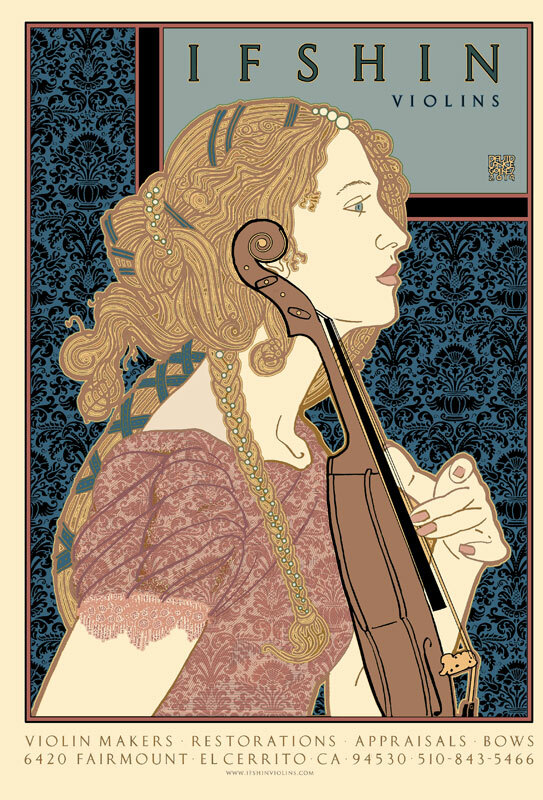 David Lance Goines can be seen top left. 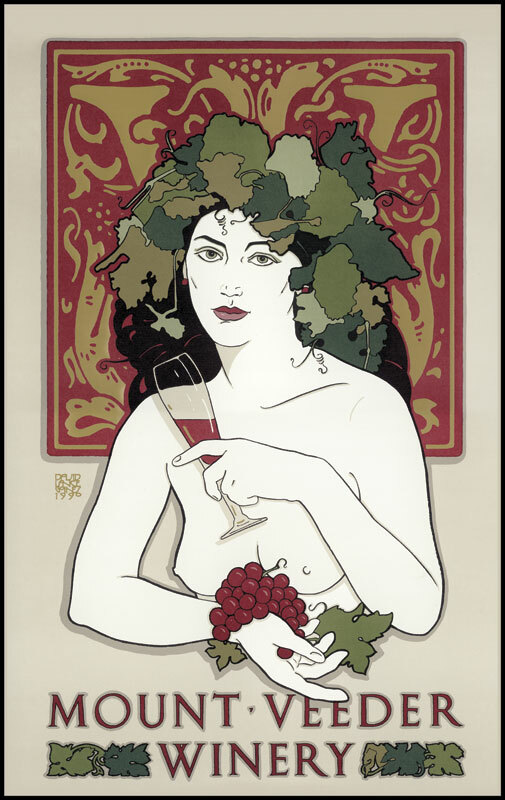 David Lance Goines at Berkeley Free Press, 1966. La Fête National, July 14, 2018. So much of what I am seeking to learn about in the interviews for Lady’s After Hours podcast is about how cultural creatives have followed their passions in order to mold their ideal lives and careers—what choices have they made? Where did those choices lead them? What was unexpected? What was better than they could ever have expected? The paths my interviewees have taken are quite diverse but they are always driven by a depth of curiosity and enthusiasm that is outside of the normal constraints of society and business. In June I was lucky enough to meet with the graphic artist David Lance Goines at his printing studio in Berkeley, California. Incredibly multi-talented, Goines is an artist, calligrapher, typographer, printing entrepreneur, and author, yet he probably best known for the posters he illustrated for local Berkeley businesses, which have been reproduced and sold worldwide. 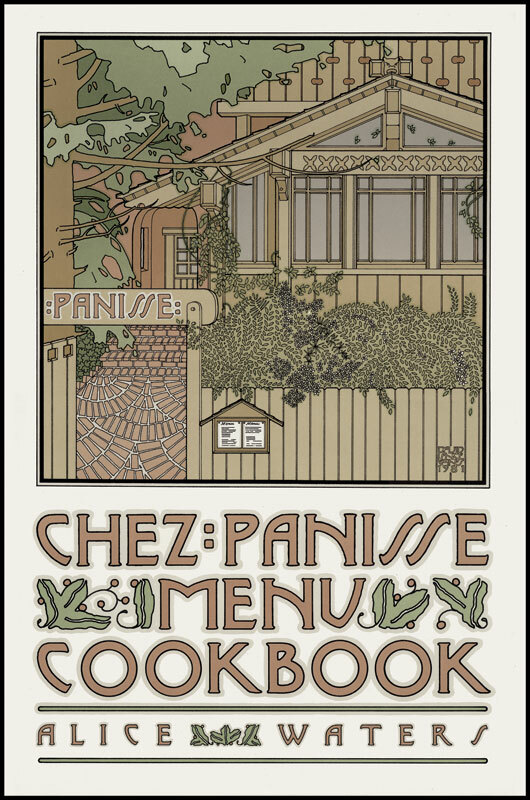 Most notably would be the work he has done for the legendary Chez Panisse, which was opened by his former girlfriend Alice Waters—his book covers and annual posters for the restaurant helped define the visual identity of it for food lovers around the globe, in much the same way his other posters have created the visual identity of Berkeley. For those who have never been to Berkeley, their understanding of the town has come from his work for well-known businesses like Chez Panisse and Pete’s Coffee, as well as many other small local stores and companies who’s notoriety solely stems from these iconic images. David grew up in Oregon and outside Berkeley, learning about art from his calligrapher mother. He enrolled at the University of California at Berkeley as a Classics major. While there he became tangentially involved in the Free Speech movement in 1964—though not closely associated he was arrested and expelled along with seven other students in September that year, which set off protests and controversy that shook the country. The students who were expelled (including Goines) had been set up information tables on campus and were soliciting donations for causes connected to the Civil Rights Movement, though fundraising for political parties was limited exclusively to the Democratic and Republican school clubs at that time. The Free Speech Movement was the first mass act of civil disobedience on an American college campus in the 1960s. Students insisted that the university administration lift the ban of on-campus political activities and acknowledge the students' right to free speech and academic freedom. An incredibly pivotal time in American history, the free speech movement has a continuing effect on political dialogue in the US and particularly on college campuses. His expulsion spurred him to deepen his involvement in the movement. Following his expulsion he got a job apprenticing at the Berkeley Free Press, where he went on to print many of the materials for the movement. In the early 1990s Goines began to revisit this period and wrote a first-hand account that was published by Ten Speed Press in 1993; due to his important placement within the movement he was given tapes and other archival materials that had not been listened or seen before, making his book one of the preeminent primary sources on the Free Speech movement. Through his work at the Berkeley Free Press he met Alice Waters in 1966, who was working as a PR on a political campaign and visited the press to pick up flyers. Almost immediately she moved in with him and began to teach herself to cook—a response to her recent trip to Europe that had opened her up to a new understanding of food and the enjoyment it can bring. Waters revisits this period—their relationship and her blossoming obsession with good food—in her recent memoir, Coming to My Senses: The Making of a Counterculture Cook (read more about this book on Lady). Hosting dinner parties led them to start collaborating on illustrated recipes, which were first published as a weekly cooking column by their friend Bob Novick at the San Francisco Express Times and then as their first book, 30 Recipes Suitable for Framing (1968), a series of lithographs Goines printed at his shop that sold out its first and many subsequent runs. With the money earned from that endeavor he purchased the print shop, which he renamed St. Hieronymus Press. From there Goines has spent the last 50 years producing beautifully illustrated posters for a number of local businesses and political causes. Instantly recognizable as his, they combine a flurry of different influences from the graphic to the fine arts—Ukiyo-eJapanese wood block prints, the Jugendstil, Charles Rennie Mackintosh, René Magritte, Sandro Botticelli. At the same time that Goines stepped into his own, Waters did the same; she opened Chez Panisse two blocks away from Goines’ press in 1971. Unheard of in the 1970s, Waters was the first chef in America to focus on ingredients rather than technique—thereby changing the menu every night to suit what was available from her providers. Both Goines and Waters share this engagement with the time-honored, the carefully crafted and grown, and a love of a slower way of life. 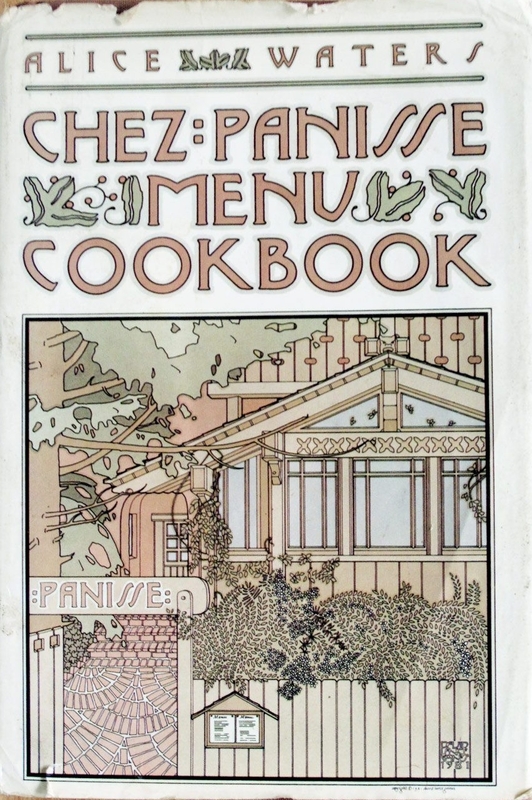 Their shared values allowed them to maintain a close friendship and collaboration long after their romantic relationship was over, with Goines illustrating the Chez Panisse cookbooks and creating a special poster for every anniversary of the restaurant. In this interview Goines delves deeply into all of these parts of his life and work, and also intimately discusses the various elements that helped him and Alice attain such success at a young age—affordable cost of living, low overhead and thrifty taste balanced with commitment, passion and lack of fear to enable a freedom to experiment and a unique pathway to success. All of these characteristics have served him well over the years as he has built and sustained a career where he is highly respected for the artwork that he loves to do. 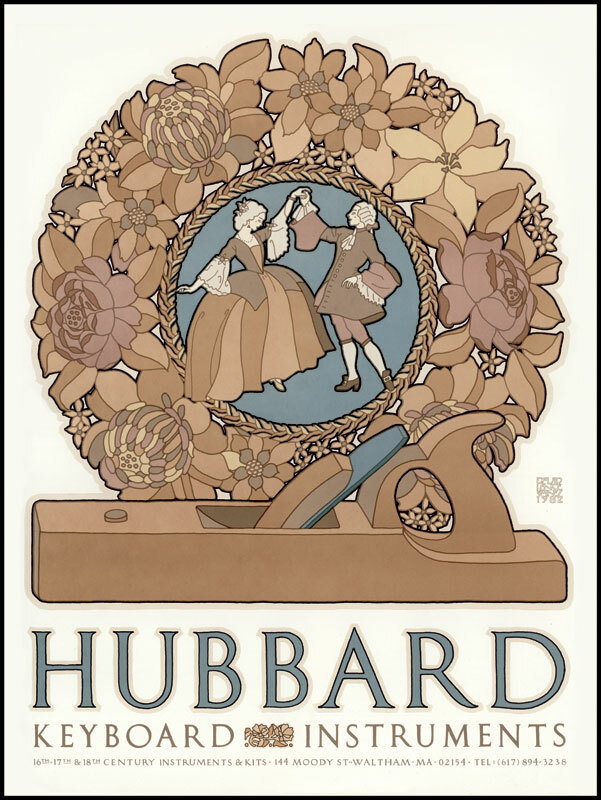 His posters are in the collection of the Smithsonian and many other museums, where his instantly recognizable, richly illustrated works are collected for their important place in American design history.